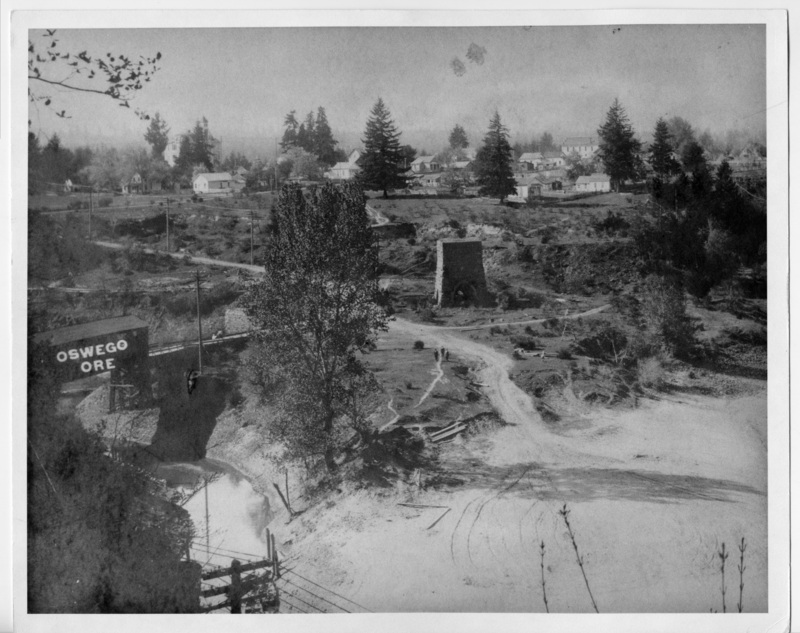 088 Oswego Iron Smelter; View to NW from Old River Rd, Oswego, OR, about 1908 or 1909? From bridges. Description Appears to be the same as 135a & b, 840, 2289, & 3525; all cropped slightly differently. Water spots at top. Imprinted on front: Oswego Ore. Future site of George Rogers Park. Transcription 088 Oswego Iron Smelter; View to NW from Old River Rd, Oswego, OR, about 1908 or 1909? From bridges.